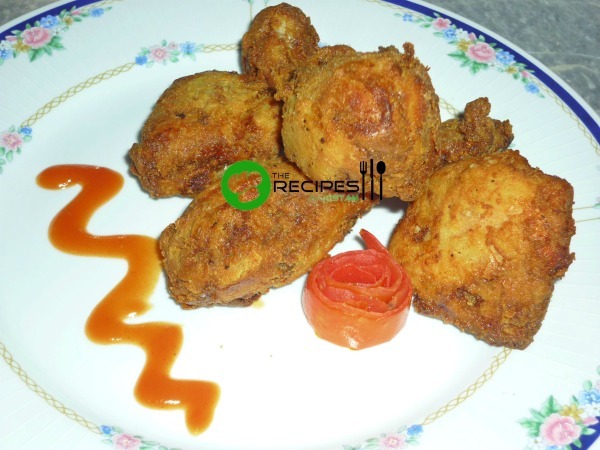 Spring Fried Chicken – tender and spicy chicken recipe is a perfect side dish in a party. You can also serve it with bread or dinner roll to your family. Add chicken with other ingredients in a cooking pan to cook until done and water evaporates. In a bowl mix batter ingredients with water to make a smooth consistency batter. Dip each chicken piece in batter and deep fry until chicken turns to a golden brown color.